Inequality is the key political issue of our time. 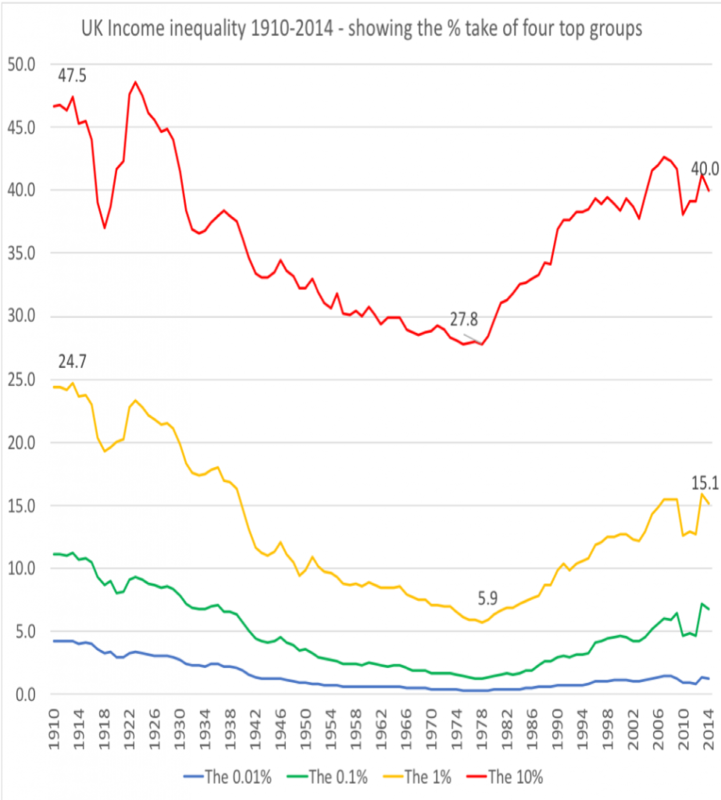 The dramatic rise of income inequality in the UK, from the mid 1970s through to today’s peak, created a state that was so unstable that Brexit was attempted. Danny Dorling wrote his seminal work Injustice: Why social inequality persists in 2010, and was an early proponent of the urgent need for rapidly reducing economic inequalities before the implications of trying to live with such terrible divisions lead to a disaster. 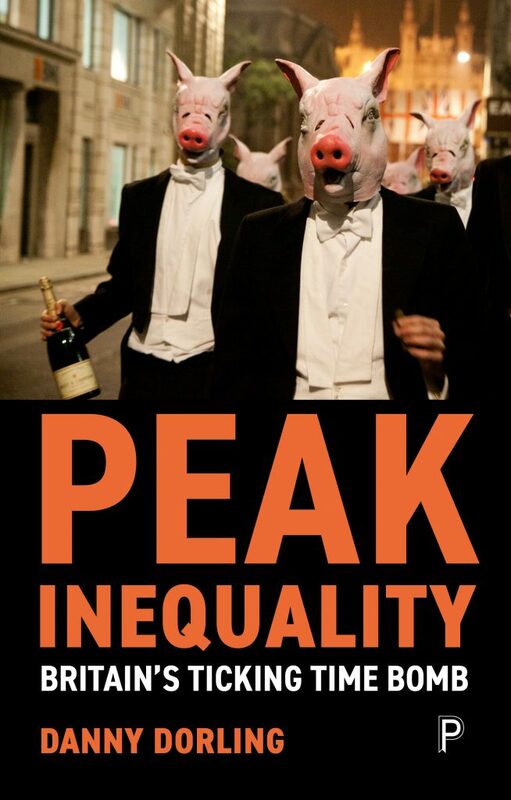 The subtitle of the book Peak Inequality was “Britain’s ticking time bomb“. He is now much sought-after as one of the foremost contributors to the debates surrounding it. 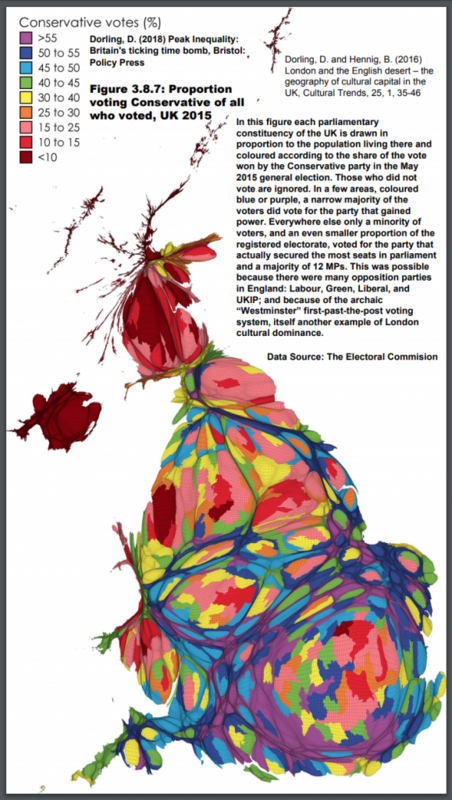 teh graph below was taken form the book and appeared in the New Statesman. Danny explores whether we reached ‘peak inequality’ in 2018. He concludes by predicting what the future holds for Britain, as attempts are made to defuse the ticking time bomb while we simultaneously try to negotiate Brexit and react to the wider international situation of a world of people demanding to become more equal. Recorded at the Cambridge Literary Festival, The Divinity School, University of Cambridge, April 5th 2019.